Three years ago I stood before you and complained. 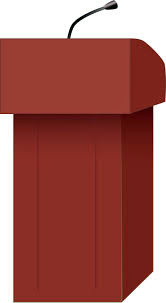 I complained that no one had ever asked me to deliver a commencement address. And because no one had ever asked me to deliver a commencement address, I took it upon myself to deliver one anyway. And you took as it was intended: as a lesson in self-bootstrap-pulling-uppedness. And yet three years have gone by. That's plenty of time even for the most ardent of commencement-organizing procrastinators. I have been diligent, nay, obsessive about checking my email and answering my telephone and while I have had the most fascinating conversations with people selling some very interesting pharmaceuticals, I have not, even a little bit, been asked to deliver a commencement address. Not even for a preschool promotion or an Email for Seniors training class. No words preceding the certificating of a boating safety instruction group. No final thoughts before a leatherworking badge ceremony. Nothing. Nada. And so I am emboldened to deliver my second commencement address to you, the ever-loyal readers of GuysLitWire. As you sit out there beneath the cool protective shade of your mortar boards considering what comes next in your life, I know you aren't worried. You are thinking there's nothing I can do to screw up my life too bad. And even if someday I do, say, fail the bar exam or accidentally destroy a city by haphazardly messing with my pet lizard's DNA, I can always fix it. I can fix it because soon someone will invent time travel and I can buy a trip to the past or steal one or just crash a time travel party and I can return to the point of my mistake and do things differently this time around. Do I have it right? It's as if I've read your minds, isn't it? But, graduating class of 2014, I tell you without reservation, that is no way to think. Trust me on this. Don't count on time travel. Time travel, almost always, will let you down. For one, time travel, even when it does exist--which, need I remind you, it doesn't--will be messy. Oh, you are saying, we know about that. We know you shouldn't accidentally kill your parents or keep them from dating for fear of ending your existence or the universe imploding or something. If you are very savvy about time travel, which you probably aren't, you may also have figured out that you can't accidentally prevent your grandparents from dating either. But did you know that time travel can be sticky even if you don't interrupt any of your ancestors dating patterns? You probably didn't. 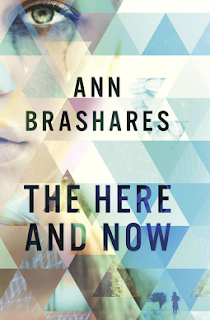 Two new novels, The Here and Now by Ann Bashares and The First Fifteen Lives of Harry August by Claire North remind us--and by "us" I mean you, dear graduates--of just what a shambles can result when you start fiddling with history through time travel or other means. In The Here and Now, Prenna James travels back in time with a community of fellow time travelers, intent on changing the past. Apparently her people from the future have screwed up the planet so bad it's basically un-liveable. But now that they're back in our time, their main job, it seems, is not to get found out. They can't get too familiar with the time natives for fear of frightening them, making them sick from viruses that shouldn't exist yet, or inadvertently causing an additional calamity that will further endanger the future. Prenna's people are so scared of screwing something up that they're stymied from taking action that will make things better. Think about whether you want live like that before you turn to time travel to fix your mistakes. Doesn't sound like much fun, does it? Prenna eventually can't take it anymore and, with the help of her genius time native friend Ethan, sets out to change things, both for her people and for the future. Admittedly, that part sounds like fun. But do you think you can count on the opportunity to perform such heroics? I don't think you can. 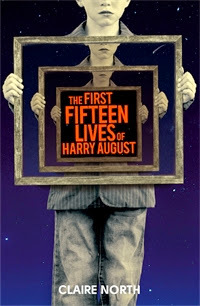 Likewise, in North's beautifully written The First Fifteen Lives of Harry August the future gets all screwed up due not to time travel, but to a similar kind of time manipulation. Harry August is a kalachakra, a being who is endlessly reborn into the same life, but who retains all memories of his previous life. While he may live his life differently each time through, making different choices, experiencing different careers, friends, lovers, he witnesses the major events of history repeat themselves identically. The time manipulation element in the book is introduced as the kalachakra organize themselves into a secret society called the Chronus Club. Not only does Harry have knowledge of the future from his own previous lives, he has knowledge gathered by Chronus Club members whose lives occur later than his. Again, let Harry's many lives be a lesson to you. I mean, really, do you want the world to end? Wouldn't the world ending just complicate your problems rather than fix them? I think it would. Avoid time travel, avoid manipulating history, avoid the end of the world. It's just that simple. Here's what I use as a rule of thumb: if you need time travel to fix it, it's already too late. So what is a graduate to do? I know as your commencement addressor you are looking to me for answers, but, honestly, I have no idea. I mean, I could suggest things--try not to screw things up too bad, reduce, reuse, recycle, shrink your carbon footprint, live healthy, help your neighbors, be nice to people--but we all know how far those suggestions go. Then again, if we're really taking time travel off the table, we may need to try something radical. That's it, time native graduates. Go forth. And if in the future you have commencement addressing needs and not a lot of money, you know where to find me. Oh, and if you happen to be the FCC, the publishers of the aforementioned books provided me with time-limited electronic galleys and not another thing. So there.